All the buzzwords here. but if People Power can deliver, this could be interesting. Ever since smart thermostat maker Nest burst onto the scene with its unique combination of beautiful design and A.I.-powered automation, there has been increasing attention about how A.I. can be applied to the so-called smart home. The fact that Google acquired Nest and then, by all accounts, proceeded to screw up the opportunity that Nest created, doesn't in any way lessen the importance and opportunity that smart homes creates. So it was interesting to hear of another play, this time a combined software and hardware one. People Power is a white-label home security solution from the eponymously named company. The company itself has been around since 2009 and focuses on mobile and cloud technologies. Recently that has changed somewhat into more of an IoT focus, with People Power launching an IoT suite designed to help developers rapidly create IoT device and application connections. This new play, which is really more of a shifting of focus with the existing platform, is aimed at giving service providers, telcos and manufacturers the ability to rapidly deploy new smart home products and services. The platform includes bot functionality that is aimed at automating many home security tasks. The bots listen to and understand the data streams from the various hardware and software inputs connected to People Power, and proactively deliver (hopefully!) intelligent outcomes. The solution includes an array of expandable hardware products, sensors and IP cameras that service providers can offer as a “one-stop shop” home security offering. The offering includes iOS or Android-based smartphone apps, and also offers optional 24/7 professional monitoring. Additionally, People Power is providing developer access to the new People Power Bot Lab and Bot Server to explore the creation of new services for smart homes and buildings. Bot Lab is an environment for adding new micro-services to existing devices or data sources. This enables developers to create solutions attuned to specific customer needs, allowing for differentiation -- a key need given People Power's focus on selling through the channel. "Smart homes have been really dumb compared to what they need to be -- conscious homes," said David Moss, president and CTO of People Power. "In the same way mobile app developers create new features for smartphones, now bot developers can create new features, services and experiences for every internet-connected device. 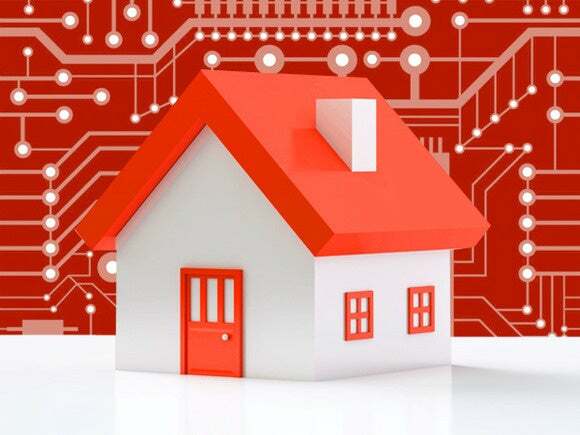 Our IoT software suite and People Power IoT Gateway allows developers, manufacturers and digital service providers to deliver valuable new services and experiences for homes and buildings." The smart home trend is going to be a massive generator of revenue in the future. Given the difficulty that organizations such as telcos have in creating their own product offerings, People Power looks to have a good opportunity in the marketplace.